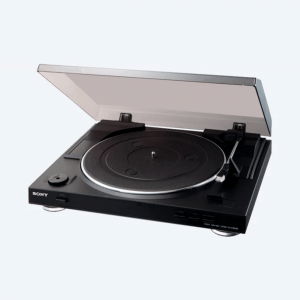 If you want to enjoy classic tunes or high-quality audio, then you need a turntable/record player. 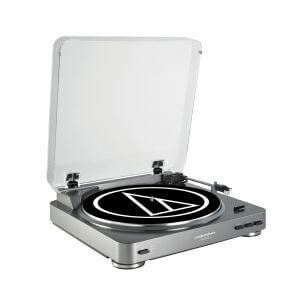 Audio-Technica, Sony, and Rega are just some of the several manufacturers you’ll find on the market who produce quality turntables. 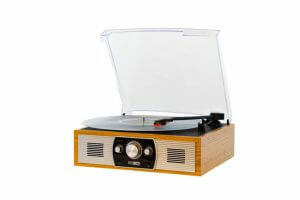 Nowadays, some turntables can be connected to your PC or smartphone via USB or Bluetooth to record and edit the music. For beginner turntable hunters and users, you can use this page as we’re going to explain how you can choose the best turntables to buy on the Philippines. 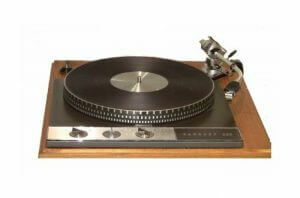 We’ll also show you a ranked list of quality turntables so be sure to check that out as well. You need a turntable amplifier, speaker, phono equalizer, and cartridge (needle) to properly listen to your records. In this segment, we’re here to give you the necessary factors to take note to help you select the best turntable for your needs. Follow along as we guide you through what you need to know and understand to buy a turntable that’s worth your hard-earned cash. Choose the right model using our guide and you won’t have any regrets about the purchase for a very long time. There are two main types of belt rotation methods for turntables. Let’s check out their characteristics so you can select which type is suitable for your preferences. Belt drive turntables use a mechanism that transmits rotations from the motor shaft to the record-playing area by means of a rubber belt. This rotation method grants stable rotation without being affected by nearby sounds or vibrations. Also, belt drive types dominate the market more than their direct drive counterparts. Turntables that use the belt drive rotation method tend to have a cheaper price tag than direct drive types. 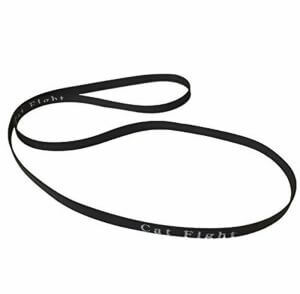 However, the rubber belt deteriorates over time even when it’s not in use. As such, owners of this type of turntable need to replace the belt after a period of time to continue listening to their favorite tracks. Direct drive models have their turntables directly connected to the motor. This design makes for smooth starts, stops, and rotations. Furthermore, there’s no need to replace the rubber belt. One disadvantage of using direct drive turntables is the possibility of choking called cogging, especially when playing records at low speed. Albeit high-end models minimize this problem with high-quality specs, the issue may be more apparent to beginner and cheaper units. If you do choose a low-priced model, always check for reviews for the frequency of cogging to avoid regrets after the purchase. Turntables need a cartridge, record needle, tonearm, and, of course, a record to play music. There are some models that don’t have record needles included in their packaging, so make sure to check before you buy. There are two types of cartridges for turntables found on the market, and they are the following: Moving Magnet (MM) and Moving Coil (MC). Generally speaking, MC types tend to be more delicate and play higher-quality sound than MM cartridges. 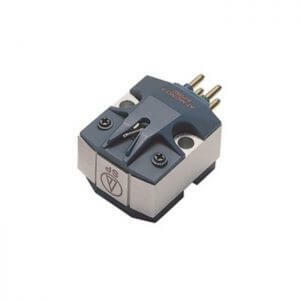 MM types allow for manual replacement of needles, and beginners to turntables will benefit from using these cartridges as their prices tend to be cheap. MC types, on the other hand, doesn’t allow manual needle replacements because owners need to send the part back to the manufacturer in this regard. Also, MC cartridges tend to have expensive price tags so they’re more suitable for users who are already accustomed to turntables. The tonearm supports the cartridge and the record needle. It’s the element meant for keeping the balance so the cartridge can accurately trace sound grooves on the record thereby applying constant needle pressure to the record needle. Like cartridge types, there are two classifications of tonearms and they are the following: Integrated and Universal types. Integrated tonearms have both the cartridge and the arm connected to each other whereas universal models allow for removal of both elements. Take note that sound quality changes depending on the cartridge. If you make sure that you can freely change cartridges, then choose a universal tonearm. However, in the event that you need elaborate fine-tuning like changing needle pressure, then expect to shell out cash for the expensive price tag. If you don’t have any plans for customizing this unit, then an integrated tonearm would suffice to help maintain your budget. Audio signals traced by the needle from the sound grooves of the record will come out as original and “unflavored” sounds. The phono equalizer is responsible for this role. It also has two types, them being the built-in and non-built-in types. Let’s check out the differences between these two types of phone equalizers to help you choose the right amplifier for your turntable. Built-in phono equalizers are already found inside the body of the turntable. As such, users are no longer required to treat this element as a separate entity. Built-in types are a great choice for beginner turntable users as it keeps the price of the entire device low. On the other hand, non-built-in phono equalizers tend to become an additional investment as these items don’t come with the package. 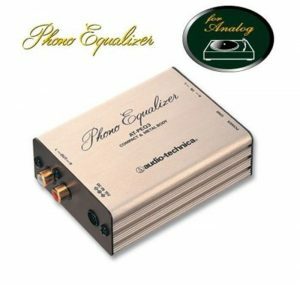 However, these phono equalizers are ideal for advanced turntable users to fine-tune their desired audio performance instead of buying a brand new turntable. Another indispensable part of enjoying high-quality sound with a turntable is the amplifier. Albeit an essential piece, it’s not always a necessity for everyone. Start by consulting your current audio equipment if you do need an amplifier. Keep in mind that if you have a component or radio cassette player with an external terminal connection like a Line Aux, then you can easily connect an amplifier to your turntable with a built-in phono equalizer. Take note that not all amplifiers have a phono terminal. However, if you don’t have an amplifier, a non-built-in phono equalizer, or a turntable with a built-in phono equalizer, then you may want to buy either of these devices to enhance your desired overall sound experience. If a turntable has a USB port, you can record the audio from the turntable in a PC or smartphone. You need a USB cable to make the connection. In doing so, you can take advantage of recording high-quality audio from the turntable. Now that you’ve read our guide on how to choose the best turntable, it’s time we dive into our ranked list. We’ve chosen the top turntables in the Philippine market so that you can check out which model is the right one for your needs. 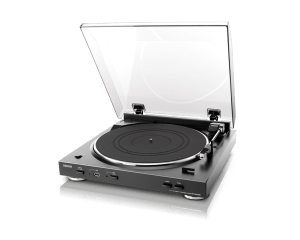 We checked out the performance, quality, and price of these turntables to fit multiple requirements. Kindly check out what we’ve prepared for you to help you choose the best device to satisfy your hunger for great audio. 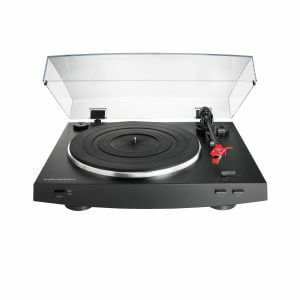 Spending cash on some quality turntables can put a large hole in your wallet, but this model lets you keep your budget. It features a 3-speed belt drive system found in a wooden turntable record player. Even though it does have built-in speakers, the volume could be louder. Also, this product lacks USB port, which means you cannot play and edit audio from this turntable. 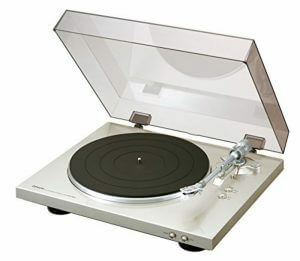 Nonetheless, this turntable is an ideal choice if you’re looking for a cheap way to start listening to your records. While many turntables of today tend to focus on bringing modern looks to the table, this model happily boasts a classic design. The handcrafted wooden cabinet not only looks good, but it also lets you connect to any PC or Mac computer. The lid, however, doesn’t open all the way, so you have to be extra careful when placing or removing your records in the device. 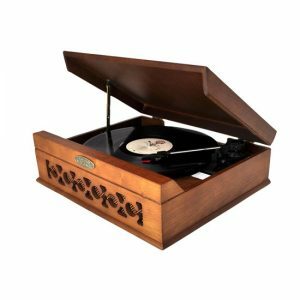 This decent-sounding belt drive turntable is an ideal gift for any homeowner who likes to complete the vintage theme in their household. If you’re a huge fan of classic audio formats, then perhaps you’ve got plenty of cassette tapes hanging around. 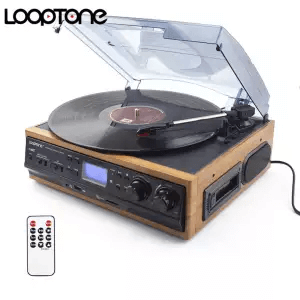 This belt-driven turntable supports playing audio from vinyl records and cassette tapes. It can also play from a mobile device thanks to an AUX-in port. It has a medium density fiberboard body that provides excellent durability and a vintage look. 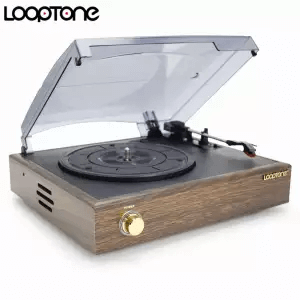 This model gives you a similarly expensive look as high-end turntables without letting you spend too much. Audiophiles who enjoy flat sound profiles should rejoice upon hearing the audio performance of this turntable. It carries the AT91R cartridge which has a dual magnet design to deliver low distortion and outstanding channel separation. The included preamp can handle MM & MC cartridges, so you can improve the sound by upgrading your favorite cartridge. It might not have a cavernously spacious soundstage, but it does bring enough heft in tracks without letting listeners feel overpowered. Its features deliver excellent tonal quality without sacrificing or overexerting parts of the audio spectrum for a superb flat response. While some turntables focus on reproducing sounds without any “flavor” involved, this model slightly highlights the musical instruments played in tracks. As a result, the built-in speakers bring a nuanced style much to the joy of classical music enthusiasts. Since the audio it delivers brings a slightly better emphasis on instruments, vocals suffer a bit. Still, it doesn’t mean that listening to tracks with this turntable is disappointing but rather is tailored to a specific set of audiophiles. It’s uncommon to find a turntable on the market with wireless capabilities, but then you can take advantage of this model. It presents wireless audio playing with the help of Bluetooth technology. Sound plays crisp and clear even when you’re wirelessly playing media from a connected device. Some user reported that the auto-stop feature didn’t work right out of the box but it’ll work if you manually place it on the side or center of your record. Despite some caveats, it’s still a great choice for audiophiles looking for turntables with wireless support. There will always be that small amount of worry when using turntables as the needle might scratch the surface of the record, especially when using some cheap models. However, this model has a 7.4-inch tonearm with a pull lever and finger lift found on its side. This element makes for a needle pressure of 3.5g, which means the pressure is very low that there’s practically no risk of causing scratches to your record. Get this unit if you want to safeguard your valuable vinyl records from accidental scratches. Some turntables (especially models with a cheap price tag) have complicated instructions to convert analog sounds to their digital counterparts. Luckily, this unit won’t let you have that issue with its Audio Waveform Recognition feature. This function checks the first 15 seconds of each track during conversion to ensure digital files have the best possible quality. The design doesn’t allow for part modifications, this unit is still ideal for casual users who want to digitize their vinyl collection. Using some turntables require more effort than necessary; thankfully this model lets you listen to your tracks without hassle. It comes with an RB110 tonearm coupled with precision bearings, an automatic bias adjustment, and a tracking weight feature. All these elements work together by bringing a hassle-free experience that requires no manual adjustments to the tonearm. 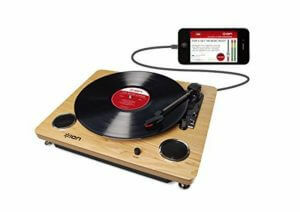 As such, it’s an ideal choice for anyone looking for a simple-to-use turntable without convoluted instructions. Repair becomes necessary when your turntable starts to malfunction. You can replace the belt or needle but it does depend on your device. 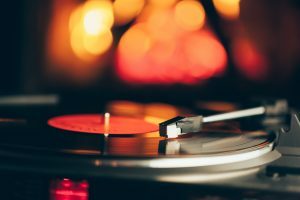 First, the needle does contract wear and tear over time, especially when you always use it to play records because the element will always trace sound grooves. You’ll know when it needs replacement if it skips audio more often than not. Start by removing the needle from the cartridge to exchange it with a new unit. Remember that you shouldn’t apply excessive force as you might accidentally damage the needle. You can do the replacement by yourself or you can take it to a specialty shop if you’re not too confident in doing the task. For belt-drive turntables, there will come a time when the rubber belt becomes loose. You’ll notice this issue when the playback speed slows down. When this predicament takes place, it’s time to replace the belt. It’s a relatively easy task to do as all you need to do is remove the old belt and change it with the new one. 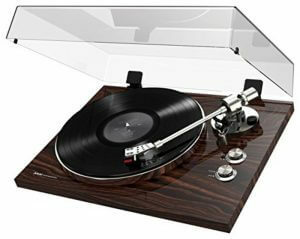 It’s to any audiophile’s pleasure to hear high-quality and flawless audio coming from their turntables. If you’re confident enough to do the repair job yourself, then you might not need to take your device to a specialty shop or its manufacturer. 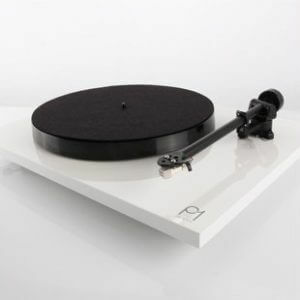 There is much satisfaction in customizing a turntable, so it’s a recommended option to buy a high-end model. High-end turntables are expensive, but you can choose to buy second-hand models to lessen the overall costs. However, always make it a habit of examining the unit before completing the transaction to see if there are any repairs to be done, or if there are missing or broken parts. The sound coming from the turntable might not be enough for some audiophiles, so choosing the right speakers to complement the audio environment might become a necessity. There are plenty of speakers to choose from the market like easy-to-use bookshelf speakers, models that hang from walls, and passive speakers to enhance flat audio profiles. We’ve just shown you a guide on how to choose the best turntable from the Philippine market, along with a list of our top picked models. So, how did you like our guide and our ranked list? Always stick to quality turntables that produce high-quality audio performances to get your money’s worth. Don’t forget that you can always look at second-hand models, just be careful if you want to go this route.